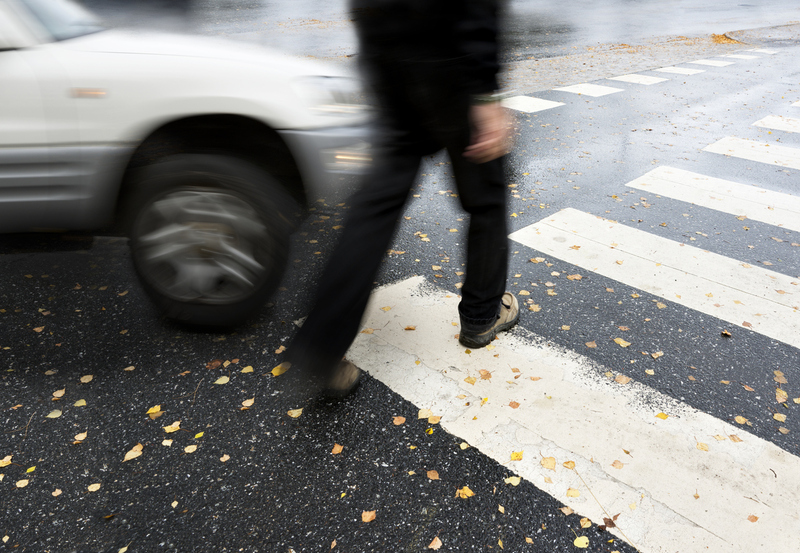 Thousands of pedestrians are involved in motor vehicle accidents in Pennsylvania each year. We can all become distracted by our thoughts, where we are going, and all too often our mobile devices when traveling on foot. However, it only take a moment for a simple walk around the city to turn dangerous and even deadly. If you or a loved one has been injured by an accident as a pedestrian, you may be entitled to compensation. The personal injury attorneys of Kamensky, Cohen & Riechelson have been protecting the rights of those injured in pedestrian accidents since 1972. We believe in keeping our Pennsylvania clients informed and involved throughout the legal process which often leads to successful outcomes in Levittown, Northeast Pennsylvania, Feasterville, Bensalem, Millbrook, Penndel and the greater Bucks County area. Lean on our extensive experience to seek full financial compensation which your family needs to secure its financial future. Call our office today to speak with a member of our legal team in a free and confidential consultation regarding your pedestrian accident, your injuries, and how we may best serve you. See a medical doctor as soon as possible. Not only will you be able to receive the medical attention you need for potentially traumatic injuries, but you will also get a diagnosis of any medical conditions brought about by your accident. This is vital to your personal injury claim, as it creates a direct link between your accident and your injuries. The longer you wait to see a doctor, the weaker that connection becomes. Do not sign any paperwork without speaking to your lawyer. This mostly refers to offers from insurance companies, who will often attempt to get claimants to sign paperwork accepting less than they are owed. In some situations, signing paperwork may even strip your rights for further legal action. Secure the services of an experienced pedestrian accident lawyer. When you are ready to begin the persons injury claim process, having a seasoned legal team in your corner is essential. Example 1: Person A is a pedestrian legally crossing a city street at a crosswalk while person B runs a red light in their car, resulting in a collision. Person B will likely be found to be 100% liable for this injury as person A was not in violation of any laws or regulations. Example 3: Person A is jaywalking on a city street without looking for oncoming traffic. Person B is driving lawfully and does not see person A in time, resulting in an injurious collision. This situation may not lead to a valid personal injury claim, and person B’s actions were neither reckless nor negligent. Our Northeast Philadelphia pedestrian accident injury lawyers will work with the unique details of your case to develop a strong personal injury claim. Personal injury claims are won by showing that your injuries were the result of the reckless or negligent actions of another party. In most cases, pedestrian accidents are caused by the actions of a motorist or operator of public transportation. However, it is also possible to file a personal injury claim on the basis of premises liability. This may include improperly maintained streets, an out of service stop light, poor signage, or other dangerous situations caused by inadequate consideration of a landowner or public authority. Whatever the case may be, our Philadelphia personal injury lawyers will seek full and fair compensation for your expenses and losses including medical bills, pain and suffering, lost wages, disfigurement, every day expenses, and more. At The Law Office of Kamensky, Cohen & Riechelson, we have over four decades of experience serving clients injured in pedestrian accidents. Our personal injury attorneys have recovered compensation for our Pennsylvania clients across towns including Northeast Philadelphia, Levittown, Penndel, Feasterville, Millbrook, Bensalem and the greater Bucks County area. We believe in treating clients with the respect and compassion they deserve when going through such a difficult time in their lives. Contact us online or give us a call at our Bensalem offices at (215) 337-4915 for a free and confidential consultation today. A member of our personal injury team will be standing by to discuss your pedestrian accident injury claim.